Dear friends, we hope that we can share with you a little of the joy that we felt from this holiday, we all came back refreshed and ready to face the second half of our time here with a smile after enjoying our rest and time together. 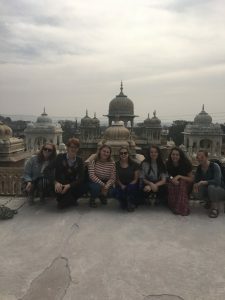 Our holiday started with us catching the overnight train to Delhi where we met up with the Delhi action team. 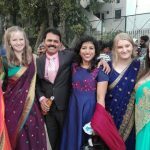 It was awesome and so much fun to become team Kelhi (Kolkata and Delhi) for two weeks of travelling! We spent New Year’s Eve ice skating and playing games, which was a lovely way to welcome in 2019 altogether! Also, whilst in Delhi we visited the India Gate and the Lotus Temple. 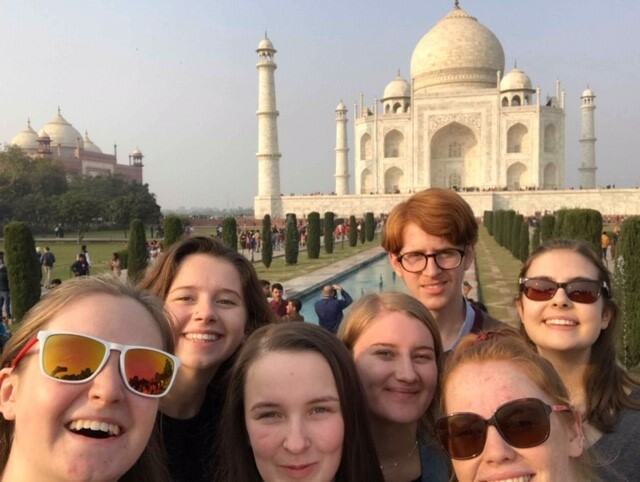 Seeing these landmarks was made even more fun by playing our new favourite game: guess how many people will ask for selfies! The game works by everyone placing their guess as to how many people will ask us for (or just take) photos with us. Our guesses were way under because in the space of a couple of hours we took over 60 photos with different people! Still feels very weird to be asked!! 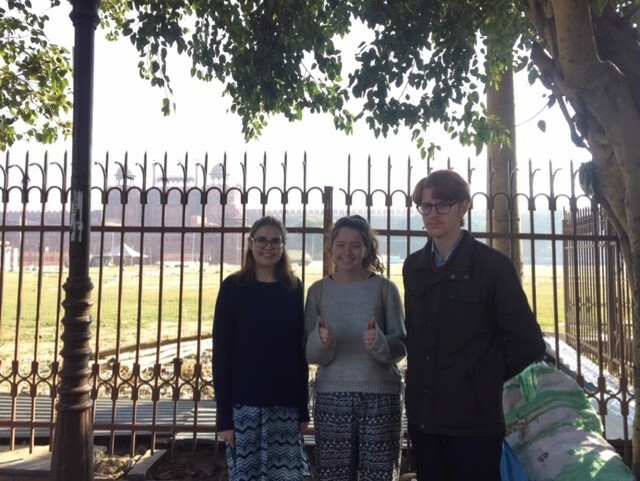 On our final morning in Delhi, we all woke up very early to fit in a visit to the famous Red Fort. 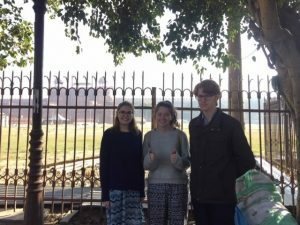 When we arrived, we quickly discovered that the red fort is closed on Mondays, so that was disappointing, but we can still say we’ve seen it! 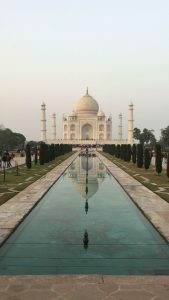 Next up on our travels was Agra for just one night. We went and saw the Taj Mahal!! We were all pretty blown away by it and feel amazed that we have seen one of the seven wonders of the world. From Agra we went to Jaipur, we had a train booked but arrived at the station to find our train had been “terminated”! 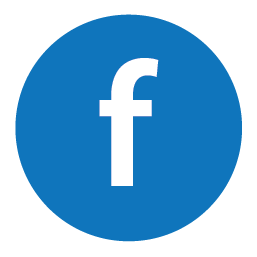 We feel privileged that we have experienced the true Indian railway system and its unreliability, haha!! 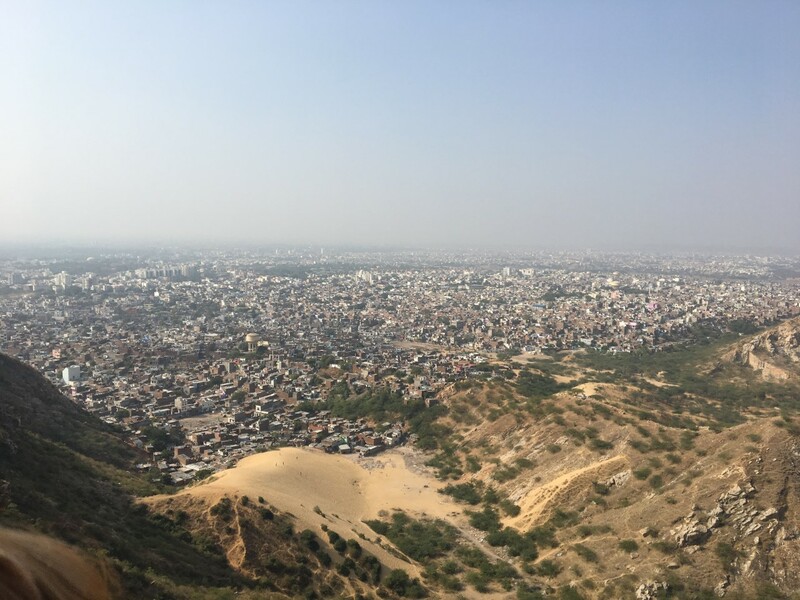 Our emergency budget came into good use though and we got a taxi to Jaipur instead! 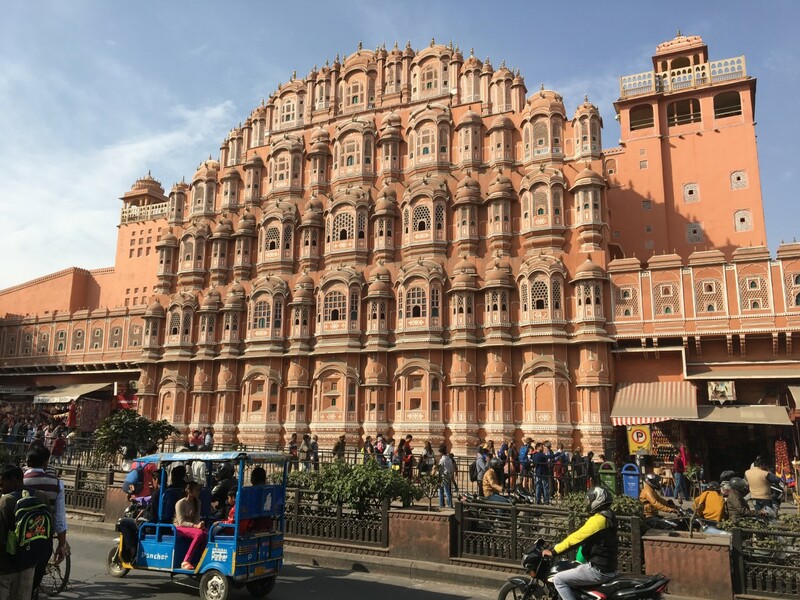 The Pink City…Stunning temples, tasty food and plenty of sunshine! 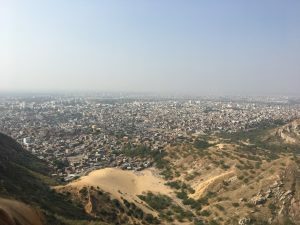 We were really blessed with our stay in Jaipur for many reasons. 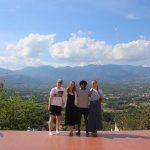 One of these reasons is that the hostel we stayed at was great and the people there were so welcoming and friendly (not to mention the breakfast of pancakes with chocolate and banana which were delicious!) 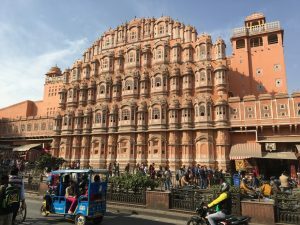 The first day in Jaipur, we were taken on a sightseeing tour where we saw many beautiful and intricately designed temples, serene (and relatively clean!) lakes and got an opportunity to try some (safe) street food which was delicious! 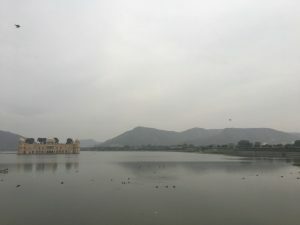 In Jaipur, we were also able to see and spend time with various wildlife. 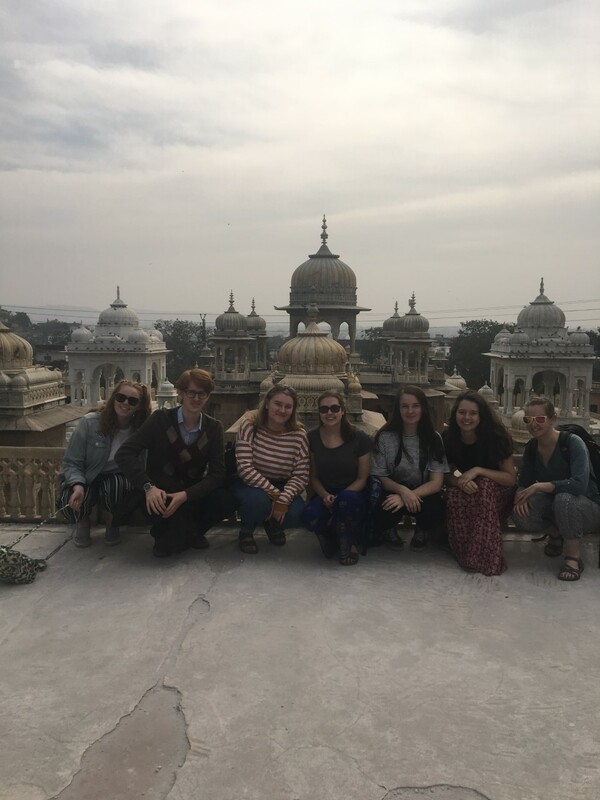 We visited the Monkey Temple where many heads and shoulders were graced with the feeling of monkey hands and feet, all of which were accompanied with squeals of surprise and laughter! The other wildlife we were able to spend time with were elephants which was an incredible experience! 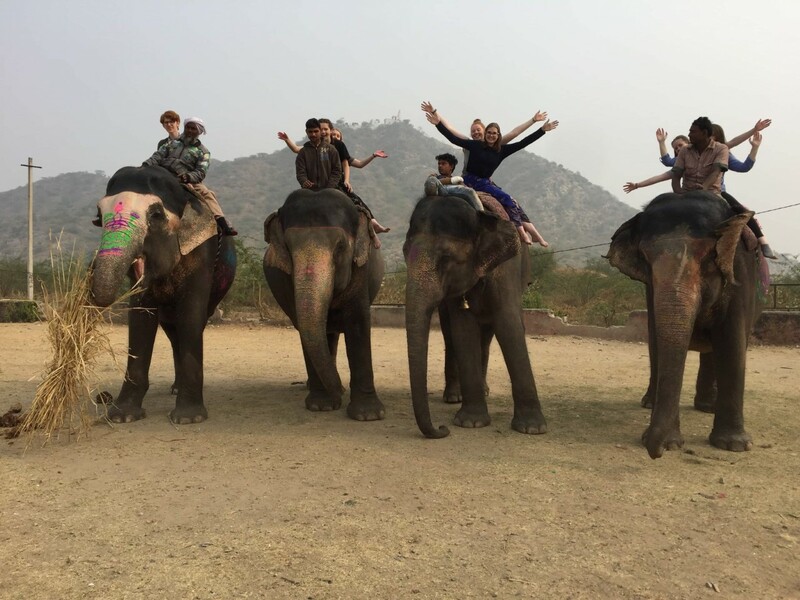 We spent most of a day at an elephant sanctuary and got involved with feeding the elephants, painting patterns on them with natural paints and even riding them! This was a highlight for all of us but also a personal achievement for me (Erin) as heights and myself are not the best of friends and elephants are pretty big (but beautiful) animals. It was an experience that I’m sure none of us will forget! 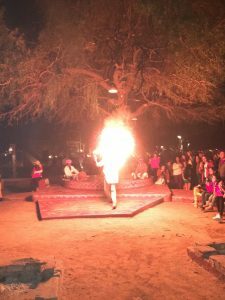 One evening, we went to a village called Choki Dhani to experience some Rhajistani culture. We watched men and women dancing, men performing magic tricks and browsed among some stalls which were selling Rhajistani items such as knitted tapestries and tiny pictures painted on rice. 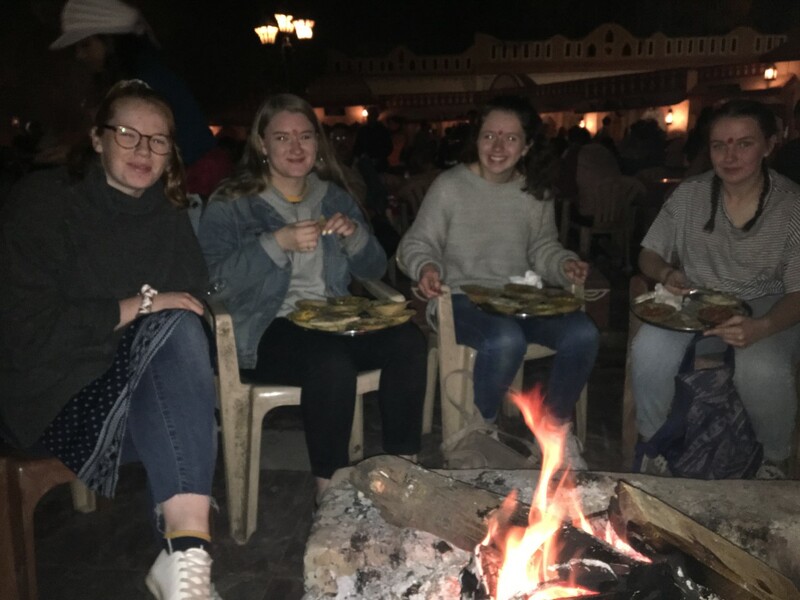 We tried some Rhajistani food too which consisted of various (rather spicy!) dhals with rice and chipatis. 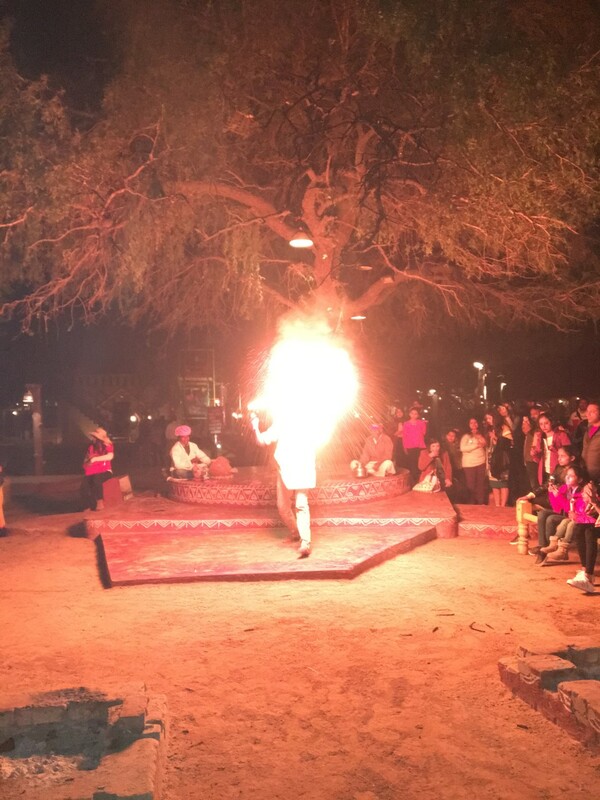 It was an interesting evening and gave us an insight into Rhajistani culture. The last place we visited, before our long trip back to Kolkata, was Udaipur, a city commonly known as the ‘city of lakes.’ We had been told by various people about the beauty of this place, the city did not disappoint. Our hotel was situated very close to a gentle river running through the city which could be seen from our room, it was very peaceful. The city has several fortifications atop mountains (probably not technically mountains), we were keen to visit some of these, one of the most impressive was a large Hindu temple which we were able to get a cable car up to. 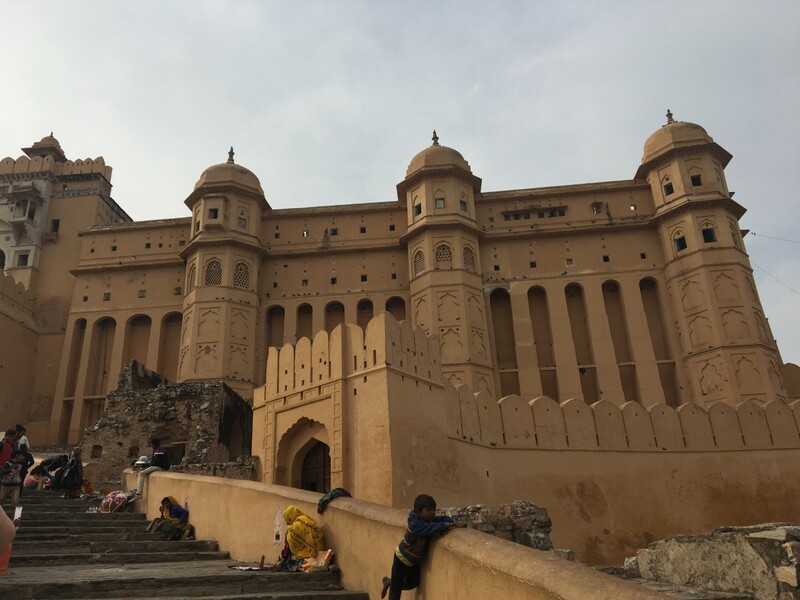 Surrounding this temple are large walls, from which you can see the whole city which sprawls out on both sides of the walls. We sat by the walls for a long time in order to see the sunset, which was spectacular, a gift of great beauty from our good God. On our last day we went on a very enjoyable boat ride around one of the cities lakes. The boat circled the lake around the building were a substantial part of a James Bond film was filmed, from the boat we saw all the different places we had visited during our time in the city, the areas along the river side where we had walked, Udaipur’s city palace and also the temple walls where we had enjoyed the sunset. This, along with a tasty evening meal the night before, was the perfect way to end our holiday, one which we are all thankful for and will treasure. Images below: (Left to right) Us in Jaipur riding the elephants, the Amber Fort in Jaipur, us enjoying a meal at Choki Dani, a fire eater at Choki Dani, the view of the city of Jaipur from one of its forts, the front wall of Jaipur’s most famous palace, us at a royal burial ground in Jaipur, us outside the closed Red Fort, us outside the Taj Mahal, the Taj Mahal and a sight of one of Jaipur’s lakes. 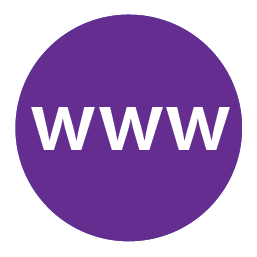 as you get involved with the projects again. Great to read all about your wonderful holiday. What an amazing experience! Praying for you as you settle back into your projects in Kolkata and looking forward to hearing more soon. We will pray for you all especially in church tomorrow.